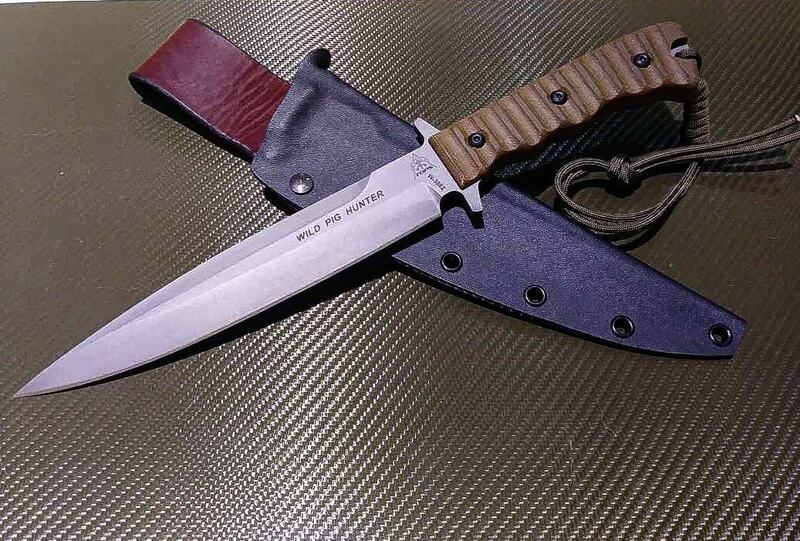 This is a custom, heavy duty (.80), handmade sheath for the TOPS Wild Pig Hunter. 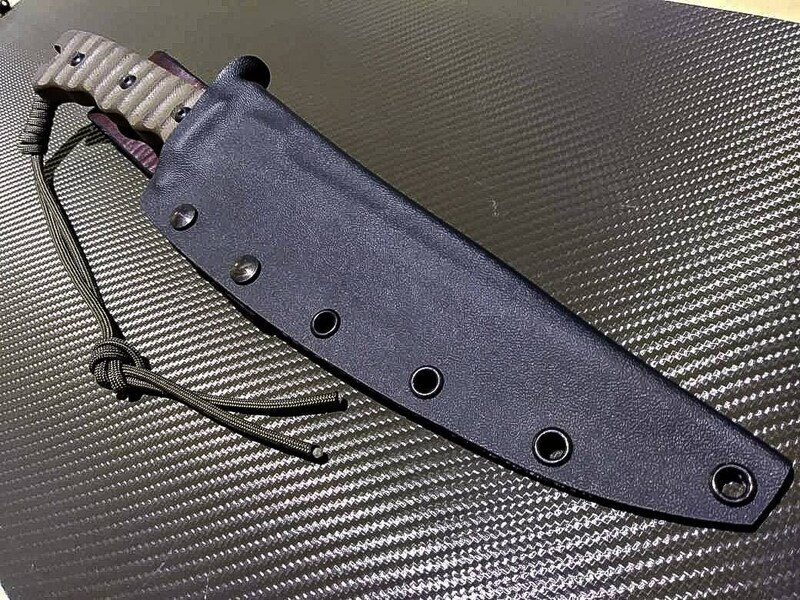 The sheath is an alternative to the leather sheath that comes stock from TOPS. 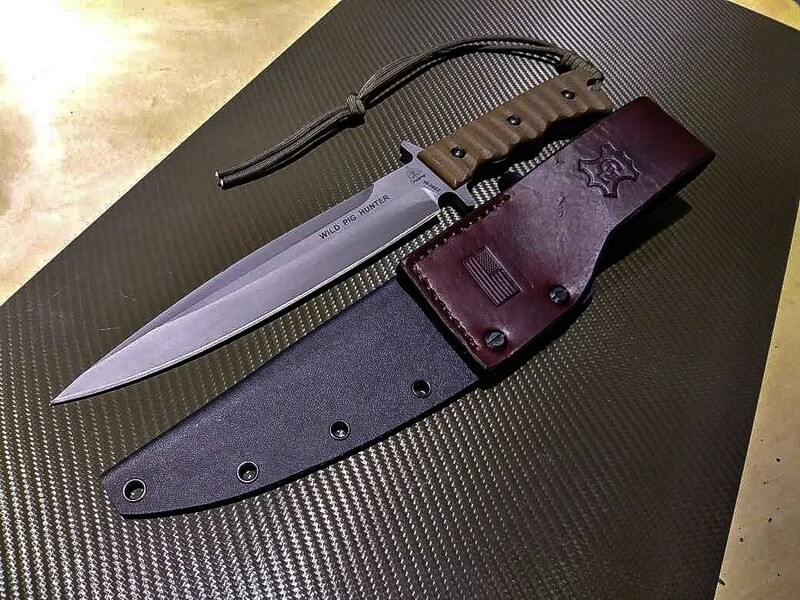 It is available in a variety of colors and can be ordered with either a kydex or leather belt loop, or leather scout straps that allow you to carry it horizontally. 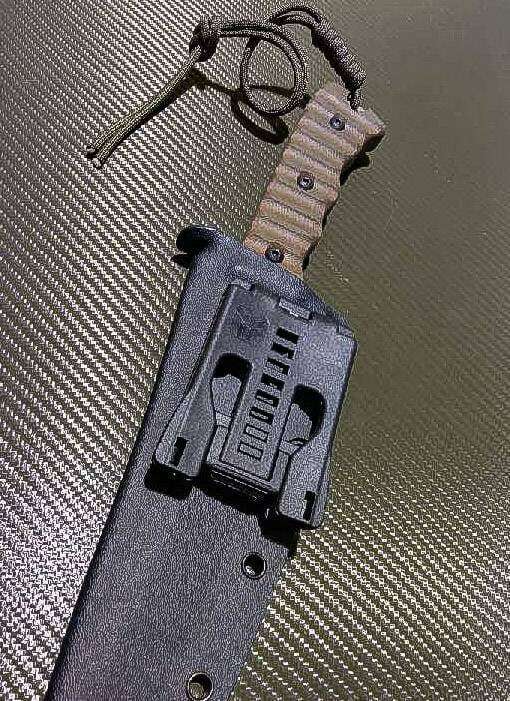 Each option (except for the scout straps/tek lok) can be ordered with a retention strap that snaps around the handle to keep the knife from bouncing around. There is a thumb groove to assist in drawing the knife and a drain hole in the bottom to prevent fluid buildup.